3.8Kw (Gecko code 0603-421001) - pick yours in the options, Yours may state 4kw but the 3.8kw is now the direct replacement, it is just badged up differently for the European market. The design of its unique seamless enclosure and its cover gasket eliminates all risks of water infiltration. 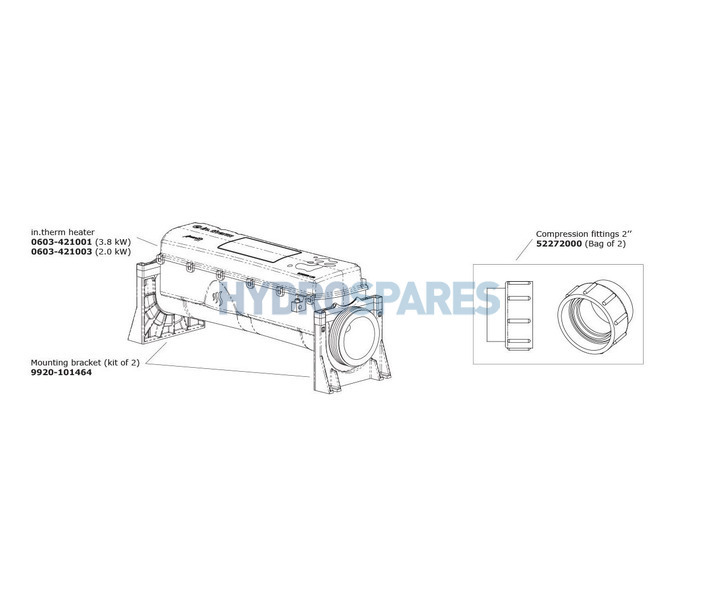 Filled with epoxy, its electronic board compartment is protected against the stress of water flow vibrations. 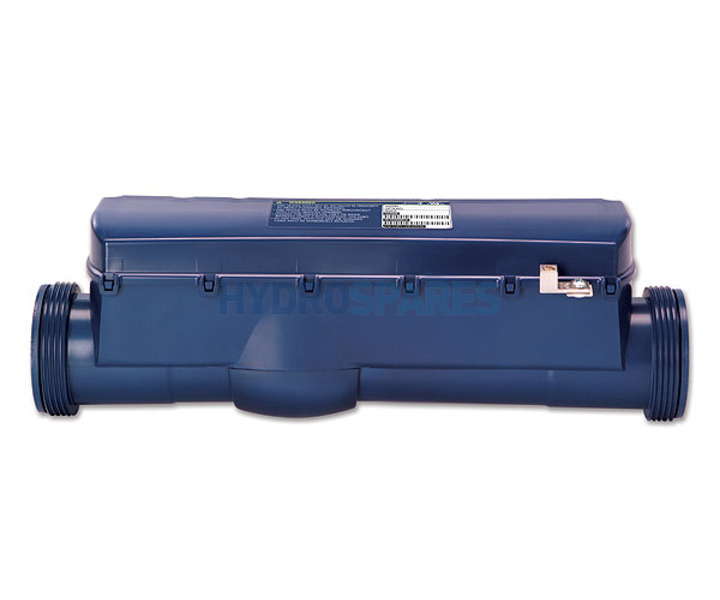 It includes a built-in temperature probe and a new water flow detection feature that eliminates the need of a pressure switch. 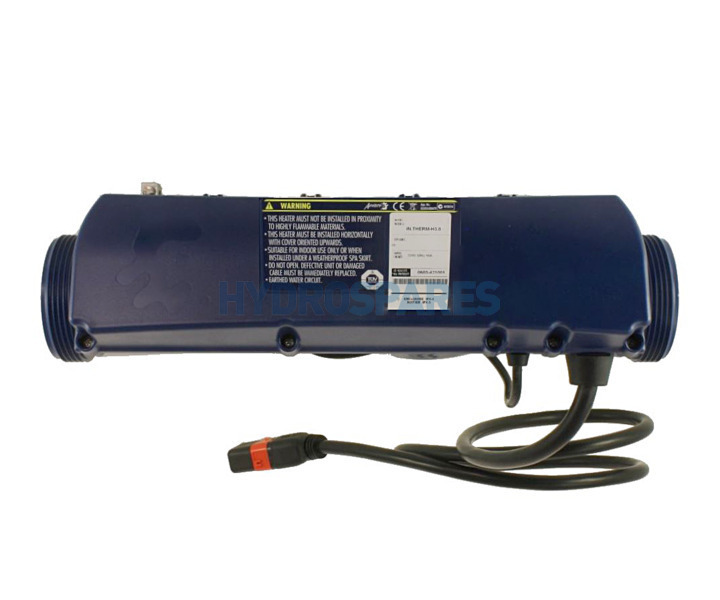 No spares are available for this hot tub heater as it is a fully enclosed one piece unit. In.therm controls multiple power levels on a single element extending its lifetime by heating at high power only when needed. With no moving parts and no adjustments, in.therm is hassle free and defines new levels of reliability. Tap the change key to cycle the number next to the LL symbol. Cycle through until it is the number you started with. Tap the select key once. Tap the select key again. They symbol SC will appear for 1 min indicating the learning cycle is active. An X in a box symbol will appear on the topside, tap the key adjacent to it. The system should reset. If this procedure does not clear the fault, the heater has failed and needs to be replaced.